Few weeks ago I met a good friend for dinner. He is a college friend that I haven’t seen for a while now. He wanted to meet at a good meat restaurant, saying he started Paleo diet few month back so he is very strict about what he eats. What can I say, I am always fascinated with getting to know new eating lifestyles so was very intrigued to hear more about this Paleo diet. When we met, he elaborated more about this huge change in his lifestyle and how it affected his life for the better, making him feel healthier than ever. When I arrived home, I did some online researching on this diet, and found out that paleo diet is in face a huge trend all around the world. 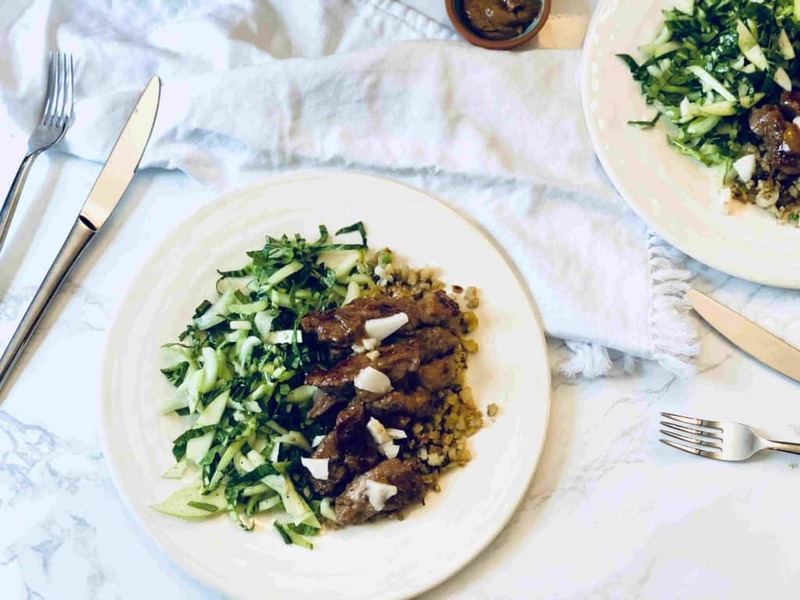 As its name states, the paleo diet derived from “ancient” times, with the basic idea of eating foods which have been around since the Paleolithic era. This comes from the belief that our body was meant to take in certain foods which were available back at the beginning, before supermarkets and processes foods came into our world. That means mainly meats, plants, fish, nuts and berries, which are the basics of Paleo foods. That sounds like an interesting view of what is right to eat, and I was curious about it. On the other hand, to be honest, with my hectic life I was not sure at all if I can keep out this kind of lifestyle, mainly because it seems impossible to think about new creative recipes that will fit the Paleo diet menu. 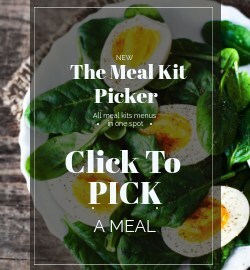 Now, I am a big meal kit fan, and I knew that Sun Basket offer many plans for special dietary needs (and that’s on top of supplying organic ingredients! ), and was pleased to see they offer a paleo plan among their various plans. I decided to give it a try and see how it goes. I ordered my paleo meal kit box to arrive the next week. Now, let’s talk business and share with you some thoughts on my personal experience with the Sun Basket Paleo box . first of all, The box and ingredients quality inside the box. When I opened the box I found the ingredients of each dish separately packed and labeled in paper bags. under the bags there was a large non-toxic icing to keep everything nice and cooled. Under this icing where all the cooled meats (a great quality sirloin steak, ground chicken and braised pork shoulder). The quality of the produce looked amazing, like the bok-choy, the organic lettuce head, the meats and the sweet potato, just to name a few). This really comes as no surprise , since I know that Sun Basket puts many efforts on sourcing meat, eggs and produce to their meals from farmers who follow sustainable, organic practices and fisherman who provide wild-caught seafood. I also have to say that since the box was so well organized, it took me only 2 minutes to unpack everything into the fridge. 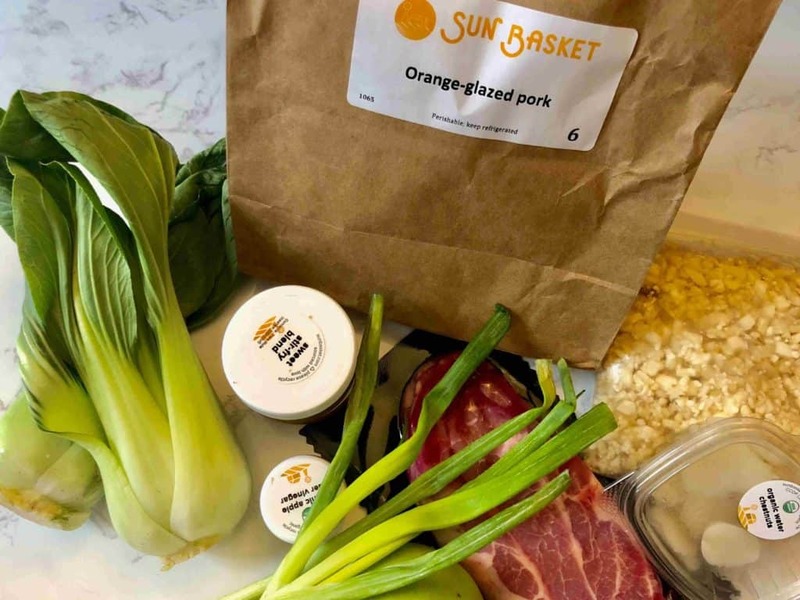 Sun Basket is focus on ensuring their meals are easy and quick to prepare, so you will get to have a great dinner made in about 30 minutes or less. That is why many of the special sauces are already mixed and ready to use for your convenience. The company also offers a great diverse and flexible menu, including 18 weekly changing recipes, supporting all of their special plans. 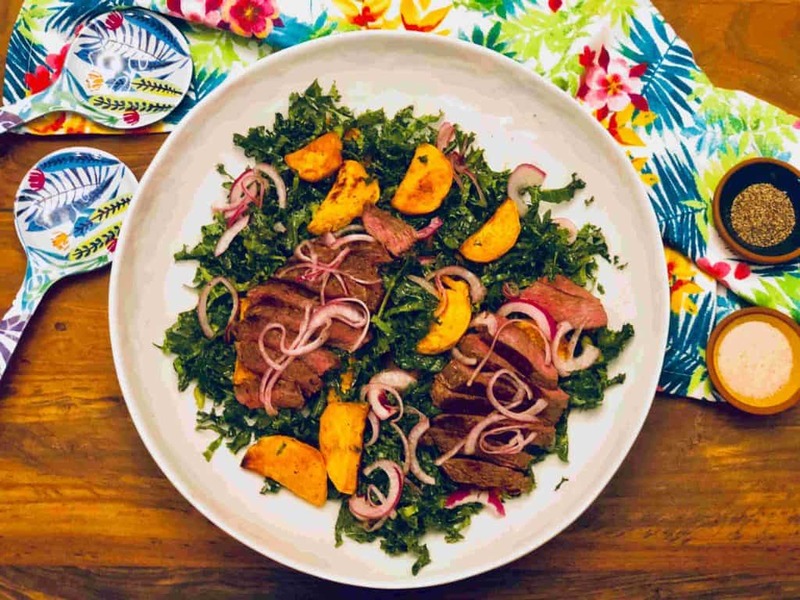 What’s cool about it is that you have the flexibility to take whatever you want from the menu, so you can take 2 Paleo meals and one keto, for example, or 1 gluten free and 2 vegetarian. Their menu support many special diets like Paleo, Keto, Vegan, vegetarian, Mediterranean, Gluten-free friendly and more. Last clear benefit of Sun Basket is that the company made sure everything is eco-friendly as part of their whole philosophy, therefore their box and packaging is recyclable and compostable. The first dish to try out of my paleo box was this Salad. I wasn’t 100% if this Salad would be fulfilling enough for dinner, but I have to say that it was great and both I and my husband were very pleased with it. Sun Basket do offer an option to upgrade the meat to orgain rib-eye steak or organic fillet mignons, but I sticked to the sirloin and was not disappointed at all. The sirloin steak was great and in a very good portion. We also got a quite large sweet potato, which I decided to cook in the oven on an “air-fryer” function instead of in a pan – and it turned out perfect! The Organic Kale was already cut out and was super fresh. What I loved the best about this dish is the great addition of the pickled purple onion – Yummy!! And the Chermoula sauce was already made, so it was very easy dish to make, took 25 and dinner was served! I have to note that the dish was very easy and quick to cook, and it took just a little below half an hour before it was ready to serve. 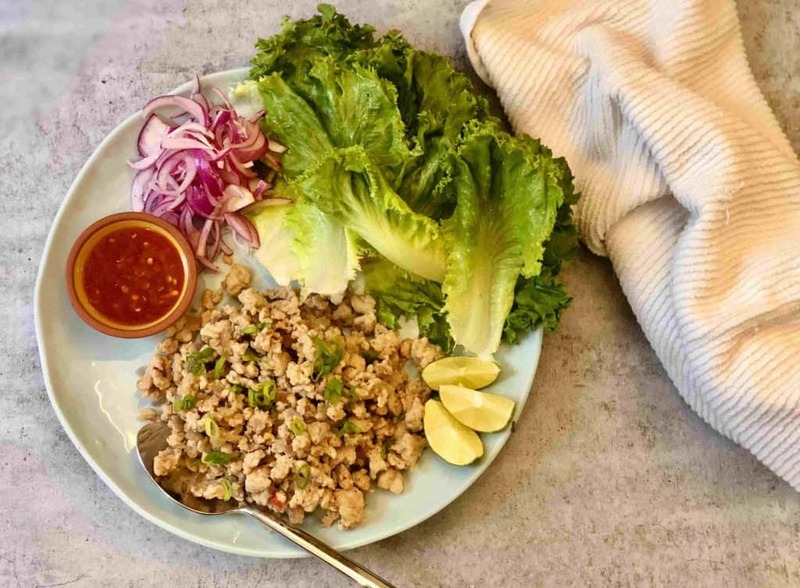 I love Thai food, and especially lettuce wraps. I think it’s a pure genius meal – fresh, much healthier and low calories than tacos or tortilla wraps. And for Paleo diet followers it is perfect. This Specific dish was a hit! The chicken was very good, and we loved the flavors of the stir-fry sauce. The pickled onions and the roasted cashios added some nice touch and the lettuce head we got was super fresh (note, it had so much sand in it, so I had to very tourally wash it. I guess it keeps the lettuce fresh longer). The chilli sauce was very spicy and added some great zets to the chicken that was more on the sweet side. Over all a great dish, and it took me only 23 minutes to cook which is truly awesome! So , who is it for? 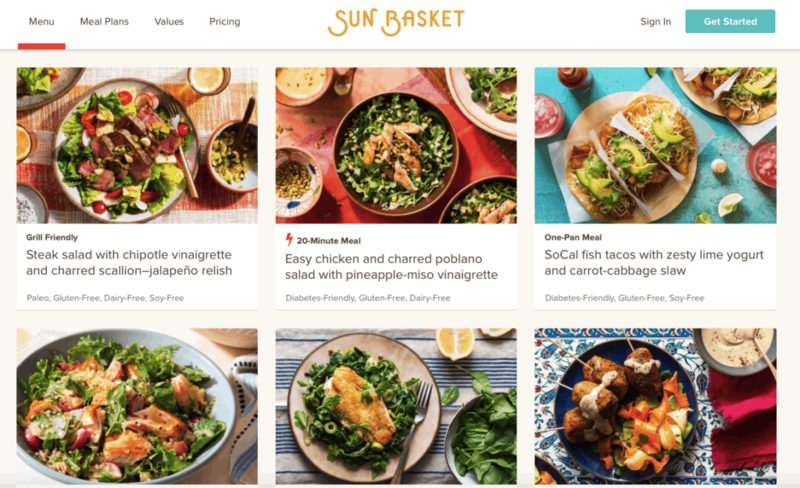 As I see it, If you are all about organic healthy food that is delicious and creative, or especially if you are following a specific diet like paleo, vegan, Mediterranean, low carb etc., Sun Basket is your BEST choice. It seems Sun Basket has a clear agenda of supplying best quality organic meal kit options for people with special dietary needs. the plans the company has on offer includes Paleo, gluten-free, vegetarian, vegan, Mediterranean and more. I can’t really emphasize enough how convenient it is to have a meal delivery like that when you follow a strict diet. It really means that you don’t need to crack your head over finding what to cook in order to have a nice, delicious and nutritious dinner. 18 weekly recipes are available to Sun Basket customers, each categorized very clearly, and you can choose whatever meal you desire even if it is from different categories, so it is very flexible and super easy to find something to suit your needs and preference flavores. We managed to get a special beginners offer for our readers, to claim it click here. Enjoy!